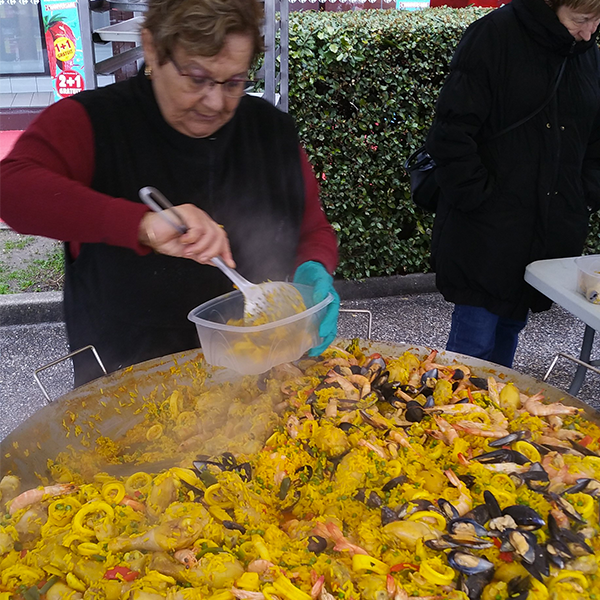 Home › News › News › A giant paella for a strong boy, Paul! A giant paella for a strong boy, Paul! Thanks to the fantastic mobilization of the local retaliers of Jonage in the Rhone region, a fundraising paella event was held on the 17th of March to support Paul the local « strong boy » suffereing from a brain tumor. 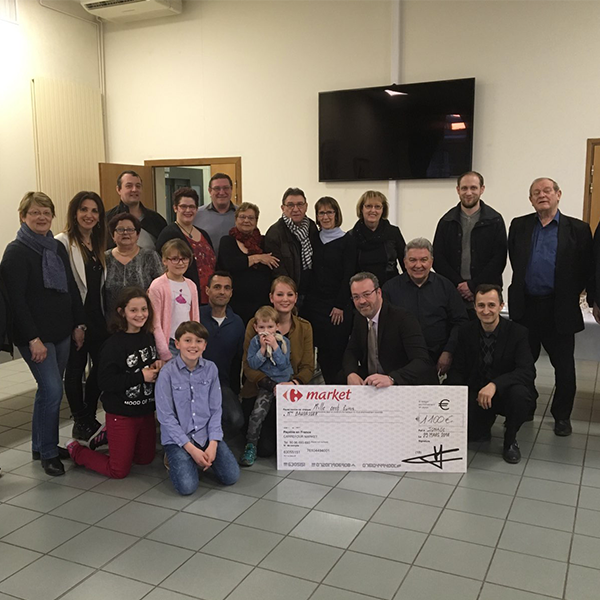 Heartfelt thanks go to Carrefour Market in Jonage the Association Jonage Animation, the Retailers Association, and of course CAMILLE, Paul’s mother who through this initiative has collected more than 2800€ to support research programs for children with cancer.